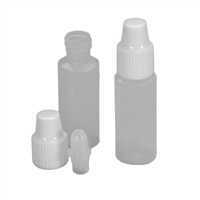 LDPE dropper bottles. Empty bottles in 5ML, 10 ML, and 30 ML sizes. 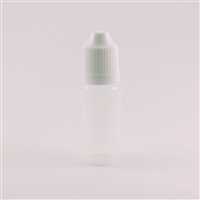 E-liquid dropper bottles are undeniably the best way to store your favorite vape juices with ease and comfort. Here at DIY Flavours, we have compiled an extensive inventory of DIY e-liquid bottles so you'll be able to securely keep your e-juice concoctions with easy access. 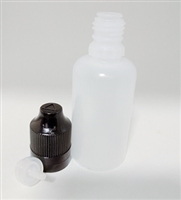 Our wide selection of e-juice plastic bottles are made of top-quality materials and are durable enough to withstand a variety of harsh conditions and wear and tear. Shop from a wide range of different sizes that go up to 100 mL, and find the product that best suits your individual needs and lifestyle quickly and easily! Our products are also listed at extremely low, competitive prices, making them some of the best-valued vaping bottles on the market. 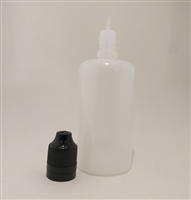 The LDPE plastic dropper bottles in our selection feature a secure cap and allow you to handle your e-liquid without spilling. Shop our inventory of premium-grade vape dropper bottles today and save big now!